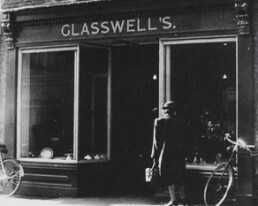 Jerry Glasswell began his new venture in 1946 at 34 Brentgovel Street in Bury St Edmunds. 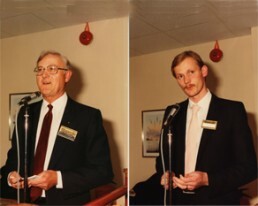 A grocer by trade, Jerry had been through the International Stores Training system, working in Stowmarket and Ilford. 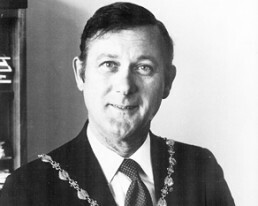 Jerry made it to the heights of manager, before a policy dispute led to the premature closure of his grocery chapter. 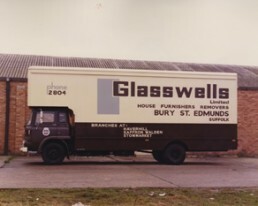 Various other jobs, such as window cleaner and auctioneer’s porter, came and went before Jerry launched the family furnishing business. 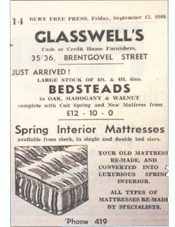 In 1946, furniture was a scarce commodity, and much of the stock was second hand, obtained from auctions. 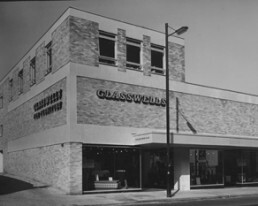 The business boomed to such an extent that the second hand goods were insufficient to meet demand and the company moved into the supply of utility furniture. 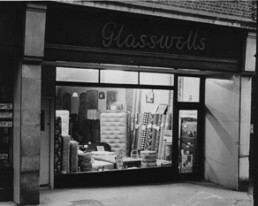 Leslie Glasswell joined his father shortly after the opening of the first shop and it proved to be a successful partnership of 30 years. 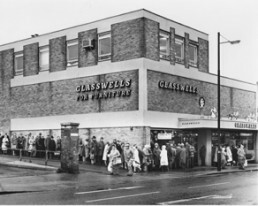 Glasswells has always been very much a family business, with Jerry and his wife Ethel, Leslie, Peggy (Jerry’s daughter) and her husband Tim, together with Jerry’s brother Frank all playing a vital role. 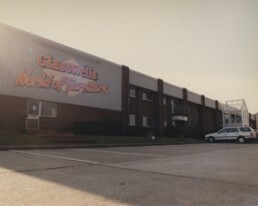 Since those early days, the Glasswell family has continued to re-invest in the business, enabling it to grow and retain a strong and loyal workforce. 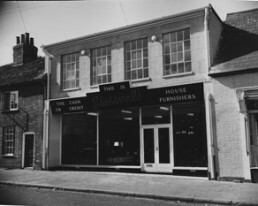 First Shop opened at 35 Brentgovel Street, Bury St Edmunds. Second shop opened at 36 Brentgovel Street. 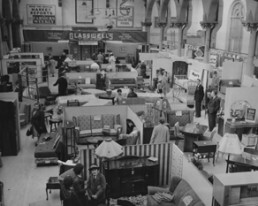 First furniture exhibition at Haverhill and Bury trade fairs. 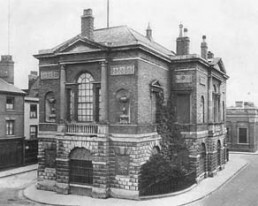 First furniture exhibition at the Old Town hall, Bury St Edmunds. 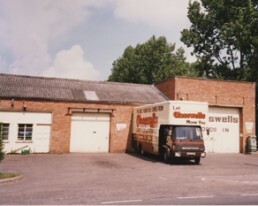 Opened first shop at Haverhill. Exhibition in marquee at the Suffolk Show Rougham. 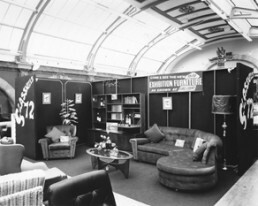 First exhibition in Bury St Edmunds’ Corn Exchange. 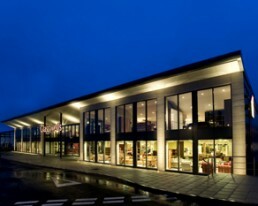 Exhibitions at Saffron Walden and Bury St Edmunds’ Corn Exchange. 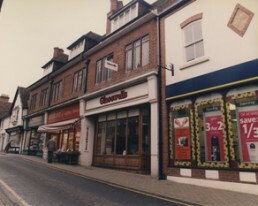 Saffron Walden branch opened in King Street. 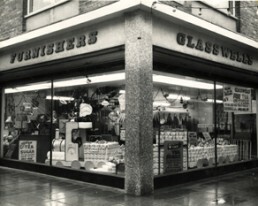 Built and opened St Andrew’s Street South shop. 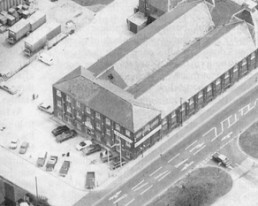 Building started on Tollgate warehouse, Bury St Edmunds. Completed first 10,000 sq ft of Tollgate warehouse. 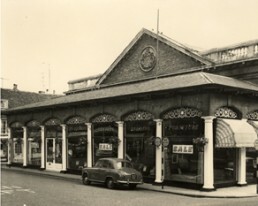 Corn Exchange showroom opened in Bury St Edmunds. 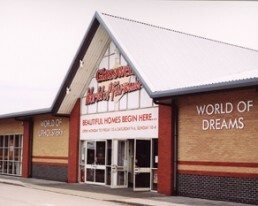 Tollgate warehouse extended to 15,000 sq ft.
New store opened at Queen’s Square, Haverhill. 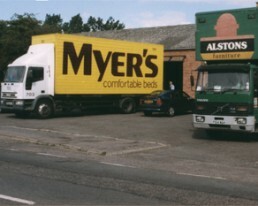 Number of removals vans reaches seven, including three at Stowmarket. 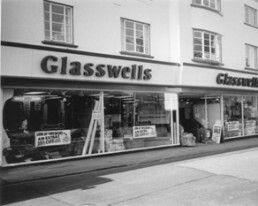 Glasswells opens store in Stowmarket. 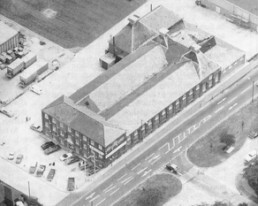 Brentgovel Street, Bury St Edmunds premises refurbished and opened at Bury Bedding Centre. Added mezzanine floor to Corn Exchange shop. Additional shop opened at Haverhill. 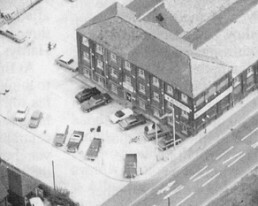 Carpet shop opened in Queen’s Square, Haverhill. 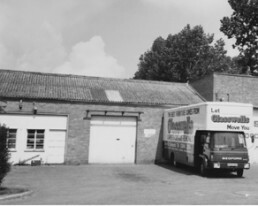 Tollgate warehouse extended to 20,000 sq ft. 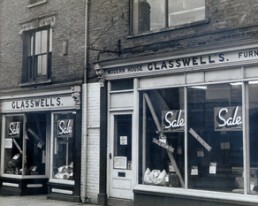 Started work on new £68,000 store extension in St Andrew’s Street South, Bury St Edmunds. 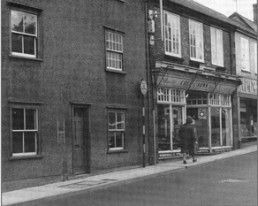 St Andrew’s Street South, Bury St Edmunds shop extended and opened. 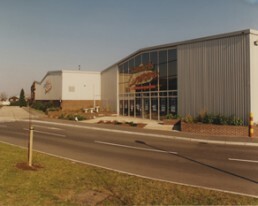 Extended Tollgate warehouse to 30,000 sq ft.
First Kingsbury warehouse opened in Bury St Edmunds. 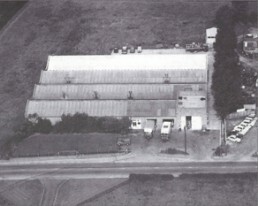 Kingsbury warehouse has grown to three branches. 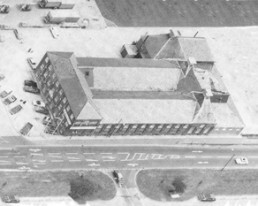 Kingsbury warehouse now total seven branches. 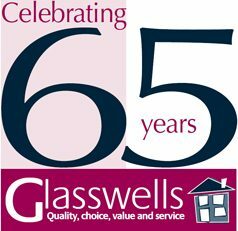 Glasswells buy St Andrew’s and Brentgoval Street properties. 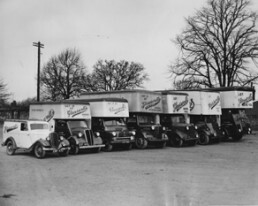 Kingsbury warehouse sold to Combined English Stores. 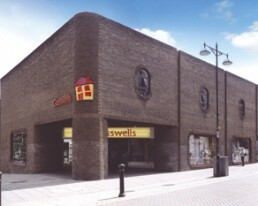 Major development at Haverhill with new Glasswells store and seven other shops. 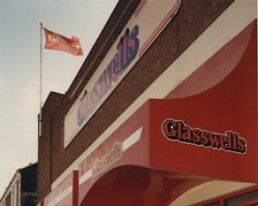 Glasswells joins Associated Independent Stores Group. 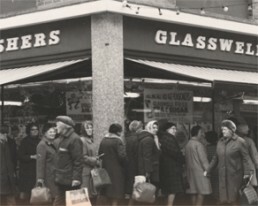 Work starts on new store at Norwich. 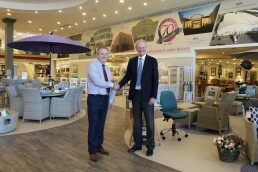 New 11,000 sq ft store opened in Norwich, with two other shops to let. Complete re-building of Brentgovel Street premises at a cost of £400,000. 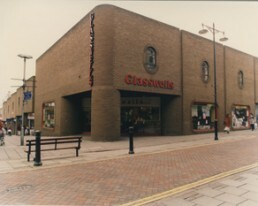 Opened in September, with three other shops to let. Opened Union Jacks Discount Warehouse, Bury St Edmunds. 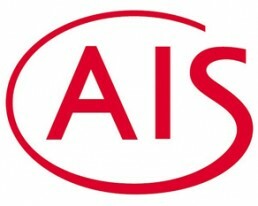 Leslie Glasswell elected to the board of Associated Independent Stores. Terry Glasswell becomes Finance Director. 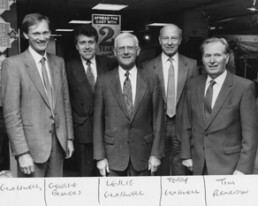 Leslie Glasswell retires as Managing Director Paul Glasswell becomes Managing Director with Leslie as Chairman. 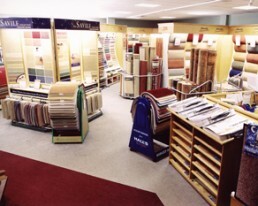 New carpet shop opens at Saffron. Refurbishment schemes at Saffron Walden, Haverhill and Braintree. 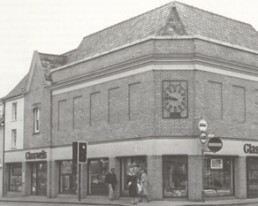 Four and a half acre flat site acquired in Newmarket Road in Bury St Edmunds, where the World of Furniture store was opened the same year. 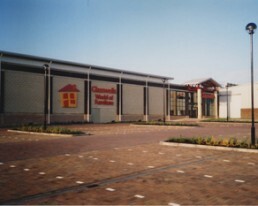 The world of Furniture extended to a total of 60,000 sq ft. 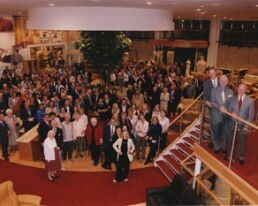 Opening of the World of Furniture at Martlesham Heath, Ipswich. 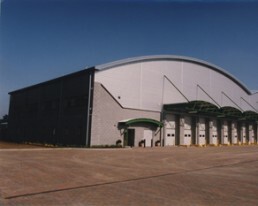 New warehouse at Moreton Hall, Bury St Edmunds opens. 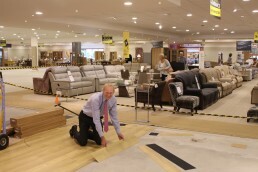 Extension to the World of Furniture adds 40,000 sq ft. All departments expanded to increase ranges. 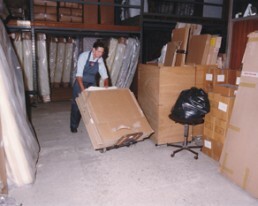 New extension to warehouse doubles floor space. 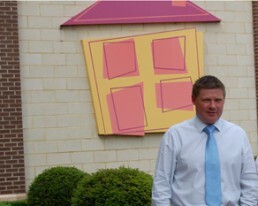 Robert Hawkins appointed as Sales Director. 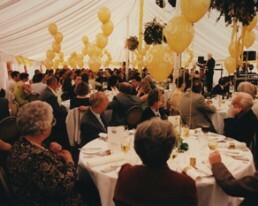 The interior of the Bury store is refurbished including the offices, and the restaurant is extended. 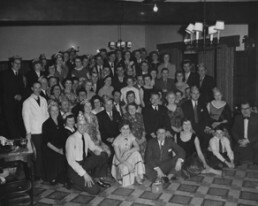 Diamond anniversary celebrations by giving away a diamond ring and a 1940’s revival weekend. 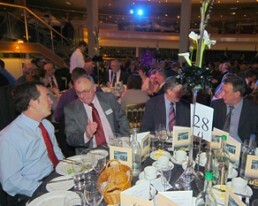 For the staff, there was a evening meal with music and comedy from Jasper Carrott. 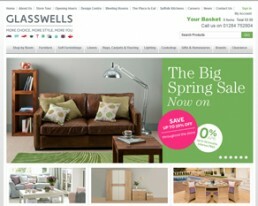 New Ipswich store opened Extension to Kempson Way warehouse completed. Robert Hawkins becomes Operations Director. 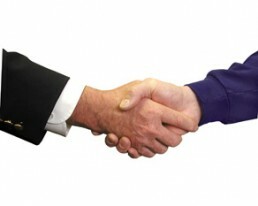 Kevin Robertson appointed to Sales Director. 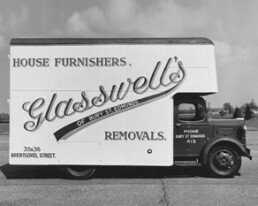 Glasswells stepped into the digital age when we launched our e-commerce website allowing us to take online orders and be able to reach our customers nationally. 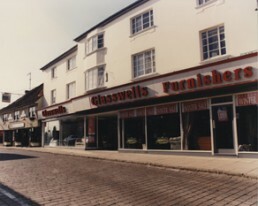 Glasswells of Ipswich scoops department of the Year Award, Staff and Store Manager Andrea Johnston celebrate and look to continue on strongly. 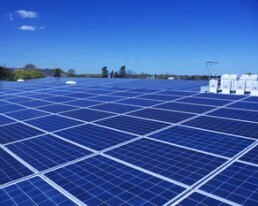 We invested in nearly one thousand solar panels which have been installed on the south facing slopes of the roof on our Newmarket Road store. The panels cover over 20,000 square feet and are part of our wider initiative to go ‘green’. 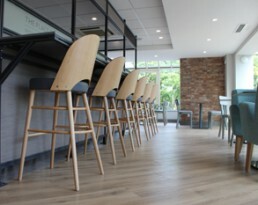 Our Bury St Edmunds restaurant was extended to accommodate an extra 30 seats cutting down on queue times & we gave the entire restaurant a revamp as well. 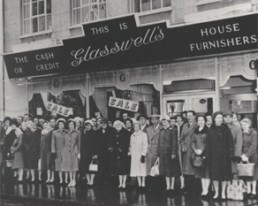 Glasswells celebrated its 70th Anniversary. A year of celebrations culminated with a weekend of special events & a staff party featuring comedian Sean Locke in the Bury St Edmunds store. 2017 was a year of refurbishment for our Bury St Edmunds store, starting with the Furniture department. 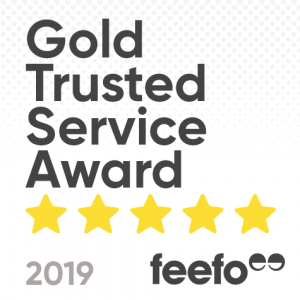 More than 100,000sq ft of bespoke flooring was laid, and brand new room partitions were constructed as part of plans to enhance shoppers’ experience. In late 2017 we took the decision to reopen a store in Sudbury after 13 years. 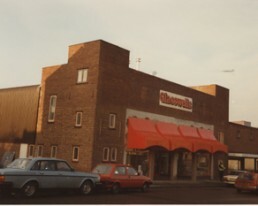 Peter and Rosemary Woodward who both worked at the original shop came back to run the store. 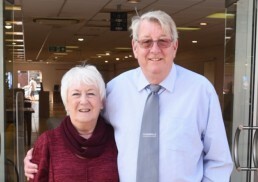 Summer 2018 we were sad to see long serving employee Richard Ball leave after an astonishing 50 years. 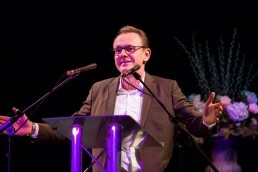 After starting as a Saturday boy in 1968, Richard worked up to Director in 2012 & worked 14 roles during his time with us.